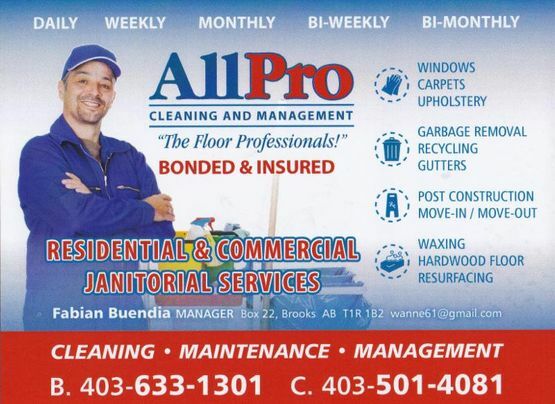 Leave the cleaning to the professionals at All Pro Cleaning & Management. Whether you own a commercial, industrial or residential space, our cleaning service in Brooks is here to keep it spotless. We have over 15 years of janitorial experience to take on even the toughest cleaning jobs. We’ll clean every inch of your space, from floor to ceiling and everywhere in between. Our team can complete a variety of jobs, from routine housekeeping duties like sweeping, dusting and trash removal to heavy duty clean up jobs after construction or renovation. We offer one time cleaning or can complete services on a daily, weekly, bi-weekly, monthly or bi-monthly schedule. You tell us what you need and we’ll make it happen. At All Pro Cleaning & Management, we are the floor care professionals. We’re able to strip, buff and polish nearly any type of flooring, including hardwood. Remove years of wear and tear from high traffic areas in your home or business and make your floors look like new again. If you would like to learn more about our cleaning services or to schedule cleaning for your space, feel free to get in contact with us today.